When you first make the decision to go into business for yourself, it’s an exciting moment. You’re probably not thinking about all the logistics and little business decisions you’ll have to make along the way. It’s a moment for celebration, not for practical planning—but very quickly, reality hits. As a business owner, you have responsibilities, and you need to protect yourself and your assets. It’s never been easier to set up as a sole proprietor, which is what many freelancers decide to do, but depending on your situation, you may want to consider starting an LLC (Limited Liability Company), instead. The LLC is a popular choice for small companies, whether the business involves just one person, a partnership, or a small team. It’s a type of business structure that protects the owners from a certain amount of liability (hence the limited liability part of the name) and provides some of the benefits corporations receive, without some of the requirements. An LLC protects the personal assets of its owners to a certain extent: if the business is sued, or there are business debts, creditors cannot claim your assets as payment. 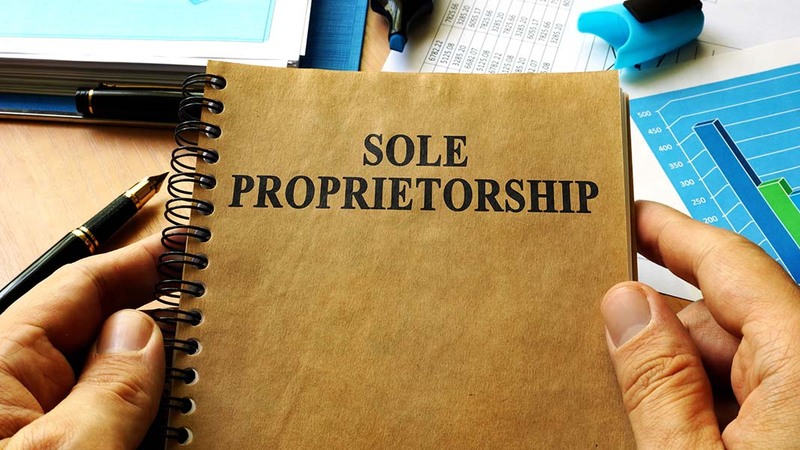 Sole proprietors do not have this protection, and can find themselves in a rough spot if there are any debts or business disputes. Unlike a corporation, LLC profits are not double taxed, and sole proprietors will still enjoy simple tax filing, since profits and losses can be channeled through personal tax returns. Since it is its own entity, an LLC can survive even if its owners die or retire. Should You Go With an LLC? While the LLC structure is very flexible and suits a wide range of business needs, it’s not the right option for every company. The most attractive benefits of an LLC, of course, are the liability protection an LLC offer sole proprietors and the tax benefits. It’s also a simple business structure that’s easy to set up, even for non-residents of the U.S. However, if you’re interested in growing and expanding the business, it may be better to consider establishing an S-Corp or C-Corp. It’s a complicated to process to change the business structure should the business grow, so you may be better off choosing a corporation structure than an LLC if you are interested in growing past a certain point. LLC owners also cannot distribute shares of stock, so if you’re about bringing in outside investors, a corporation structure will make your business more attractive. It’s also important to note that an LLC consisting of a sole individual does not exempt that individual from self-employment tax. That’s it! It doesn’t take long to get an LLC established, and you can often complete many of the steps online. There may be other steps and business licenses you need to obtain, depending on your state, but actually setting up an LLC is relatively simple. There’s nothing wrong with not knowing all the details of running a business from the very beginning—everyone learns on the go to some extent. However, in order to stay compliant with relevant laws, and to keep your assets protected, you should seek help from a lawyer or financial advisor when necessary. There’s a lot of great advice available online, of course—in fact, 87% of millennials seek out financial information and advice over social media, but nothing beats the help of a trained and licensed expert when it comes to setting up your business.